The Seder: An Amazing Educational Moment! 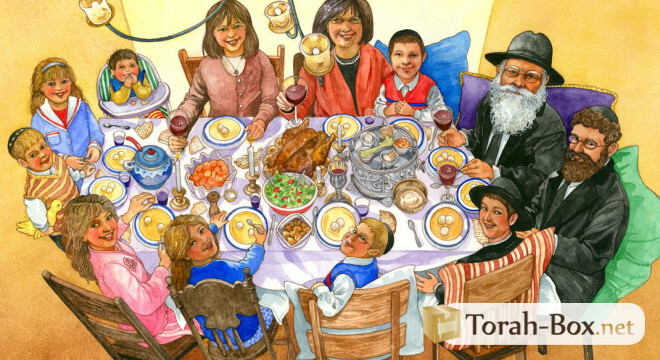 Home > Jewish Life > Jewish Holidays > Passover > The Seder: An Amazing Educational Moment! Of all the Jewish holidays, Pesach stands out for the enormous efforts invested in its preparations.From the first mopping movements, through the long shopping lists and diet change for the week, Pesach is characterized by great self-sacrifice: Messirut Nefesh. Thankfully, the reward is proportional to the effort, ensures the Talmud time and again. And what a reward! When little children witness their parents toiling with all their strength before Pesach, they are likely to join a strong link in a chain that perpetuates our tradition. They will proclaim: "My mother always did so! " As an introduction to his family Seder, Rav Yom Tov Lipman asked:, "How do we know what we ought to do this evening? How do all Kelmans know how to proceed tonight? Because they witnessed it from their parents who witnessed it from their parents, etc... throughout Jewish history. The Sages of the Talmud, the prophets, the elders, and so on, back to Moshe and Aharon, Caleb and Joshua, the desert generation, whom Hashem asked: "Have you seen my actions in Egypt? " Thus, the challenge of the Seder is huge: passing the Jewish People’s torch from a generation who defied history more than 3,300 years ago (from the year 2448, date of the giving of the Torah, till the current year, 5776). We lean like the opulent Romans, we tremble upon listening to the atrocities of the Egyptians, and we thank Hashem for rescuing us and declaring us his People! The more poignant the evening, the more it will cement our children’s faith. On this occasion, the Torah gives us a practical course in educating through example, via the story of the four sons: be wary of adopting this teaching to everyone, because the message must be transmitted! The Mitzvah of telling the story of the exodus from Egypt is therefore critical. Every dad, every mom must take time off the exhausting chores (you may want to ask a Rav which are really necessary) to prepare stories, gifts and treats to ensure everyone understands the privilege of being Jewish and the joy of becoming free. Depending on his age, each child must play a key role during the evening: reading part of the Haggadah, explaining the plagues, enacting a play, singing Ma Nishtana and Had Gadya, hiding the Afikoman, etc. Every parent must bring forth the specialness of each child, as young as two, or as old as 25. Let's not give in to the advice of the evil inclination, prompting us to speed up the Seder when it's getting late, or begin talking about the latest score of our favorite football team, or engage in details on our cousin's wedding ... What a pity to spoil such a special moment! 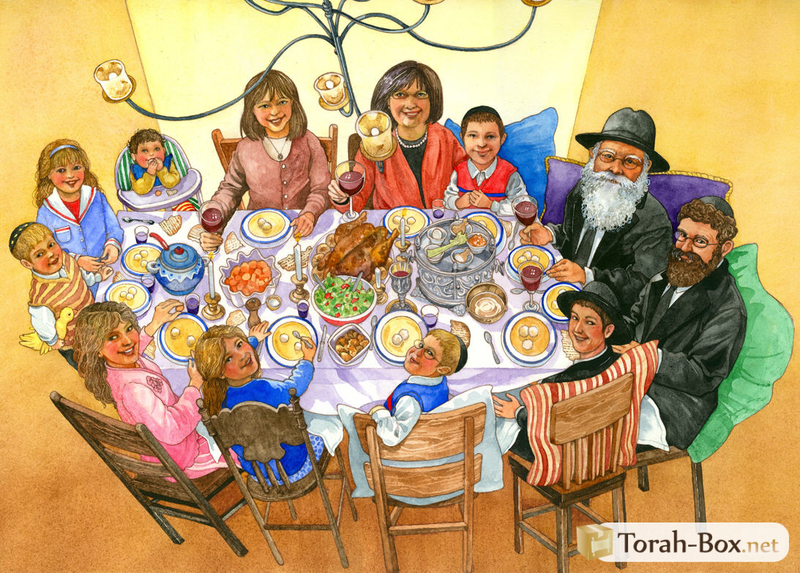 We must also avoid isolating the children by a small table at a corner of the living room because they must be the Seder’s main protagonists. How can we be sure our Seder was a success? Cherished and exhausted, our children must go to bed engulfed in Hashem’s miracles, Moshe’s staff, the panicked Egyptians etc., while feeling proud of being Jewish. N.B. According to most decision-makers, it is permitted to eat light snacks (such as fruit, vegetables, and drinks) before the candles are lit to feel energized to fully engage in the Haggadah reading and conversation. Why Should We Cancel Chametz If We Destroy It Afterwards? 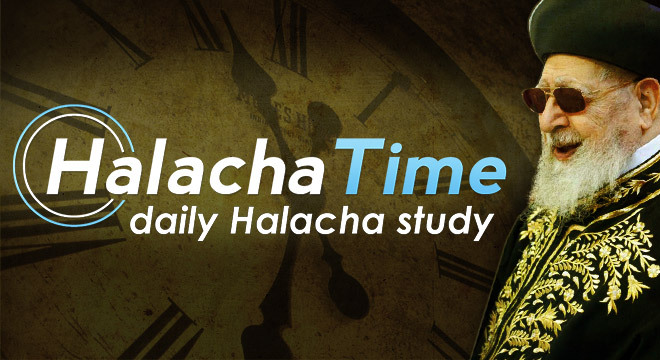 Halacha Time Class - Friday April 19th, 2019 (length: 4 minutes) given by Rav Shlomo COHEN. After cleaning the house, car, and office, we need to carefully check by candlelight to make sure there is no chametz left. Chametz is any food made out of wheat, barley, oats, spelt or rye and which has fermented.